28th Sunday, Ordinary Time, Year A | God invites us to the Wedding Banquet: do we ignore, refuse or accept? 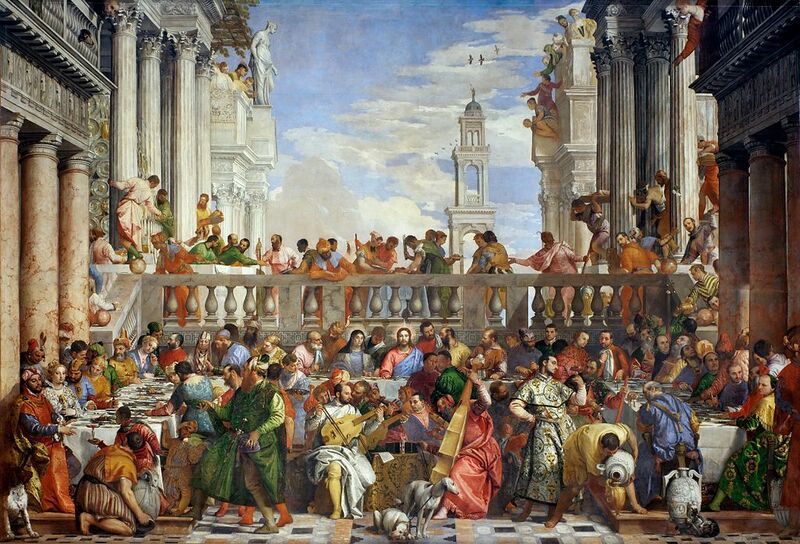 The Wedding Feast at Cana, Paolo Veronese (1563), Oil on Canvas, Louvre, Paris. Friends, here are the readings/newsletter for this weekend. For a full treatment of this week’s Scripture passages, read Dr John Bergsma’s exegesis. And congratulations to Geoff and Juliet Witts on the birth of their first granddaughter, Ava! Lots of food for thought. Have a great weekend! Categories: Parish Newsletters and Readings | Tags: 28th Sunday, Dr John Bergsma, Fr Robert Barron, Many are called but few are chosen, Ordinary Time, Paolo Veronese, The Parable of the Wedding Banquet, Wedding garment, Year A | Permalink.